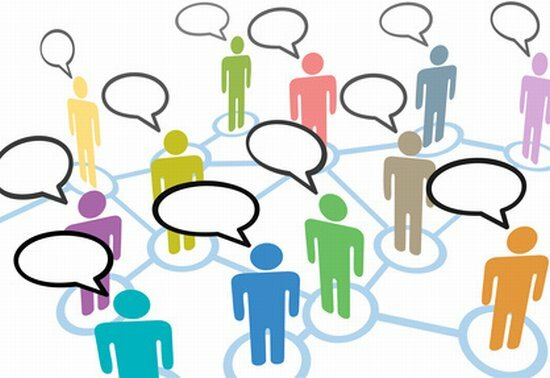 How can one maximize referral opportunities? What separates the most successful professional services firms from the rest? One key difference is surprisingly simple, and often overlooked: successful firms understand the process of referrals. Most firms work under long-held referral assumptions that are not effective. Most believe that winning new business through referrals essentially boils down to a simple formula: do good work for your clients and rub elbows with a few referral sources, such as attorneys and CPAs, and business will come from those sources. This article debunks that presumption. What separates the most successful professional services firms from the rest? One key difference is surprisingly simple, and often overlooked: the process of referrals. In fact, most firms work under a long-held assumption about winning new business through referrals, which generally boils down to a simple formula: do good work for your clients and rub elbows with a few referral sources, such as attorneys and CPAs, and business will come from those sources. This approach to generating referrals still works, to a degree. However, it is no longer the only source for referrals. This approach is certainly not the most effective. More to the point, it is probably not enough to keep your firm’s competitive advantage. The Hinge Research Institute (“Institute”) sought to understand how professional services firms generate referrals. The groundbreaking research revealed that, because of the way today’s buyers look for information on potential new providers, there is a whole new world of referral opportunities that can be leveraged. The Institute surveyed 525 professional services firms in a variety of fields and markets. Respondents were asked to identify the sources from which their firms received referrals, and how they responded to their referrals. 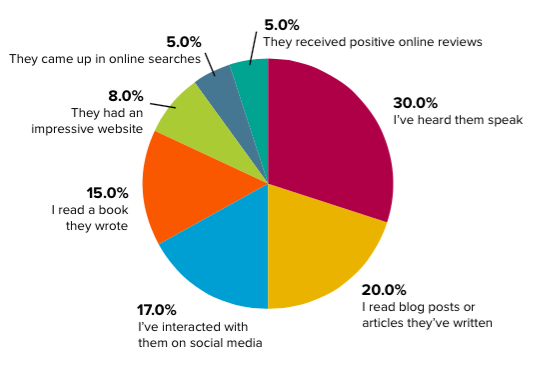 One of the biggest surprises uncovered by the research was a huge category of referrals often underutilized—and rarely even considered. These are referrals from sources that have no direct experience working with a firm. This means referrals that come from individuals who are neither clients, nor the attorneys, CPAs or investment bankers who may have worked with you. Rather, they are just professionals who have heard about you and your reputation for specific expertise. 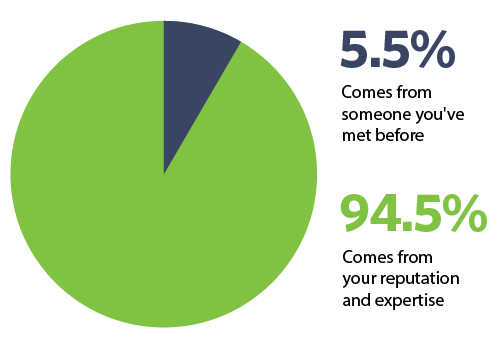 These referrals are surprisingly common—in fact, 81.5% of professionals have received such referrals. Another surprising insight involves that old marketing stand-by, networking. You might assume, as many do, that a successful referral strategy means attending networking events to make new contacts and collect business cards. While this cannot hurt, it is unlikely to be worth your time in terms of generating actual referrals. The good news is, this is an opportunity tailor-made for a smart marketing plan. By making sure audiences have a variety of opportunities to interact with your expertise (and your experts) in meaningful ways, you can significantly expand your referral base well beyond your direct clients. Referrals by themselves are not enough to increase a firm’s ability to win new business. To make an impact, referrals have to connect and engage with you. The reason is that more than half of buyers—51.9%—tend to rule out firms they were referred to without even speaking with a person at the firm. Figure 3 ranks the many reasons for this phenomenon, but there are several common threads. Looking at the top three reasons for ruled-out referrals, the underlying issue is ineffective marketing; either the referrals did not understand the firms and how they could help, or the firms’ websites were unimpressive. Either way, the firms failed to articulate their expertise in a clear and relevant way. Fortunately, the same solution for decreasing ruled-out referrals can also help you increase new referrals. By being more strategic in your marketing, you can share your expertise widely and build your reputation. Doing so helps you not only avoid being ruled out, but also encourages new referrals from target audiences. It all comes down to providing clearer information about your expertise and services—across all the communication channels your prospects use. For your referral process to run smoothly, your website, blog posts, speaking engagements, and social media activity should all work in sync to illustrate exactly what you know and what you do. As a result, you will be better equipped to leverage your referrals, get your foot in the door, and avoid being ruled out. To learn more about the most successful strategies in referral marketing, just download our free guide, Rethinking Referral Marketing. In addition, Hinge can help your firm develop your marketing program to generate and keep more referrals through our special services designed just for NACVA members. Lee W. Frederiksen, PhD, is Managing Partner at Hinge, the leading branding and marketing firm for the professional services. Hinge conducts groundbreaking research into high growth firms and offers a complete suite of services for firms that want to become more visible and grow. Mr. Frederiksen can be reached at: (703) 391-8870 or e-mail to: LFrederiksen@hingemarketing.com.